“It’s important for kids to have something to look forward to,” said Molly Hartney, vice president of merchandising and marketing for The Mine. 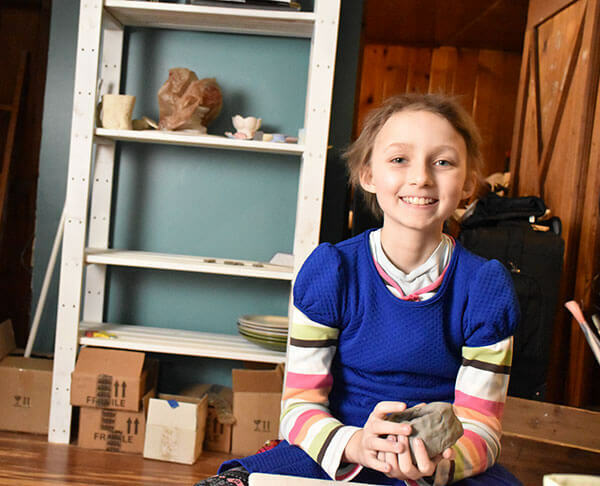 That’s why she said yes to helping grant 9-year-old Mila’s wish to have a pottery studio. It took a trend and design team from The Mine, together with interior designer Erica Whisenant and expertise from Solstice Painting and Seattle Pottery Supply, to give Mila the colorful, inspiring space of her dreams. Mila’s smile lit up her face when she saw the studio for the first time. And Mila’s wish also brought joy to everyone involved. “After granting Mila’s wish, it was great to come back to the office and tell everyone what we just did.  Making someone else happy brings joy to everyone involved,” said Molly. Wishes wouldn’t be possible without the help of people like you. In the past four years, our waiting list has doubled. 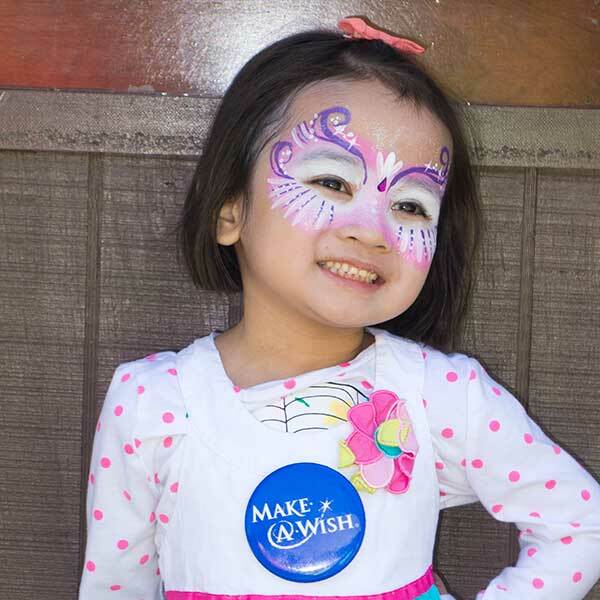 Right now, more than 500 kids like Mila are waiting for a wish. 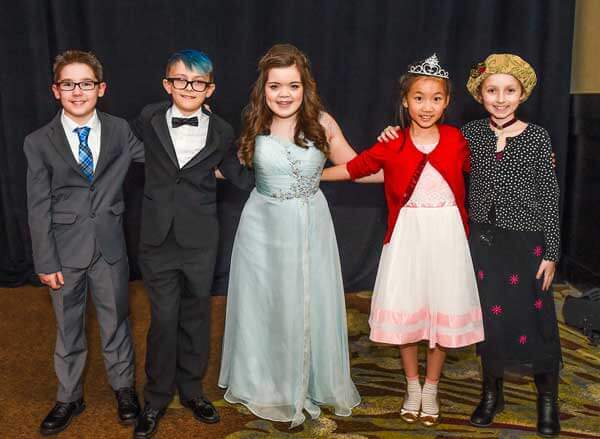 Wish kids need your support more than ever. Special thanks to Erica Whisenant, Idea Decanter, The Mine, Seattle Pottery Supply, Solstice Painting and wish-granting volunteers Lisa Fugelo and Katie Brown. Jack is waiting for his wish. Can you help? Thank you for Wishing it Forward! Dr. Ponce de Leon has referred several patients to receive wishes because she knows that wishes are an important source of hope. But she never guessed she’d become a wish parent herself. Join us for our NEW event, presented by Venture General Contracting. 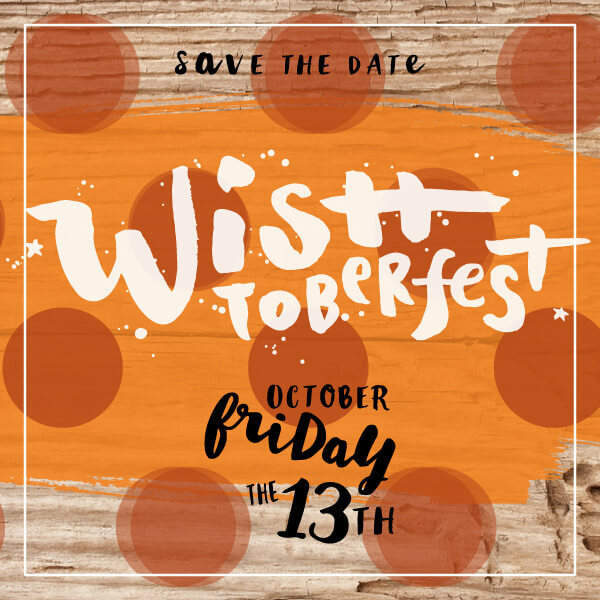 Enjoy beer and cider from some of Seattle’s local breweries, food and games with friends, and help raise funds to grant wishes. 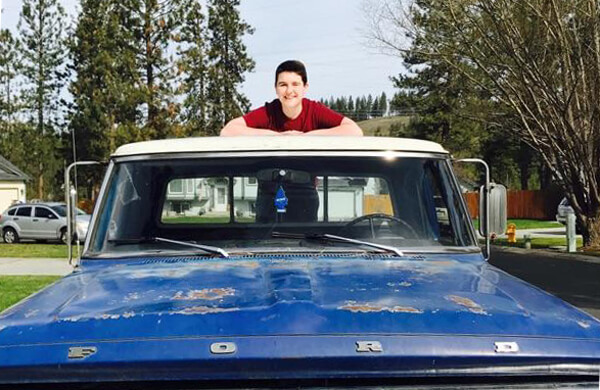 It’s going to take paint, upholstery and more to grant 14-year-old Jack’s wish to have his truck restored. Be a Wishmaker! 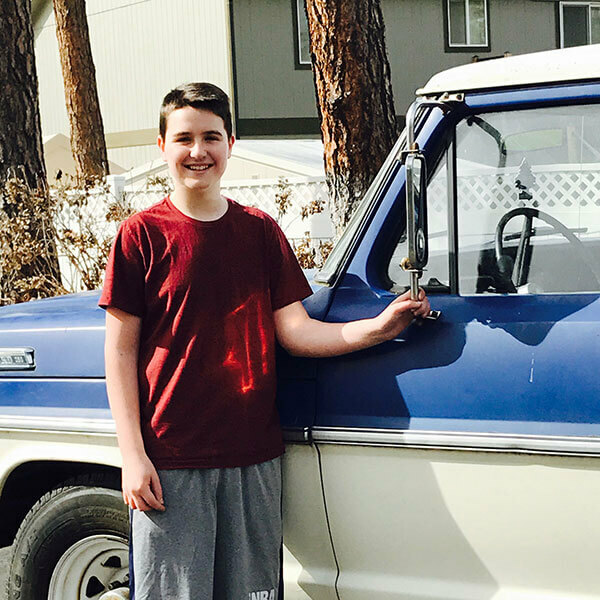 Donate to Jack's wish! 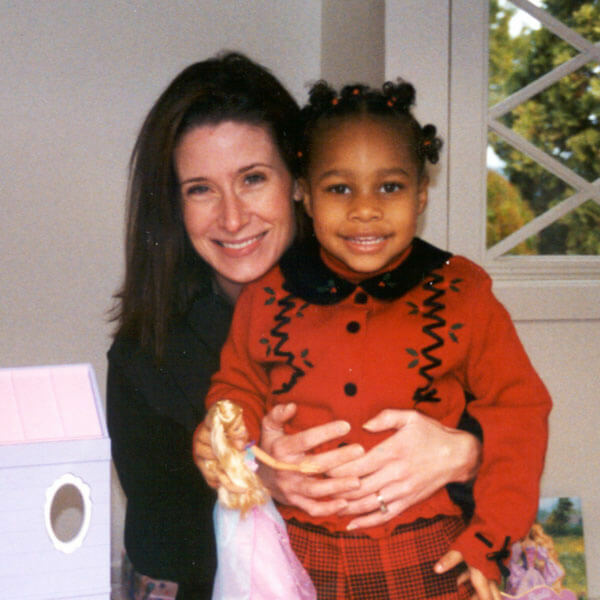 In 2002, you gave wish kid Ani a place to escape from hospitals, doctor appointments and medication when you granted her wish to have her own playhouse. The builders made sure her playhouse was sturdy; they wanted it to be part of Ani’s life for years to come.  Hear wish kid Ani reflect on her wish and how YOU gave her hope for the future. Including Make-A-Wish in your will or trust. Adding a codicil to your existing plan can be easy and inexpensive. Designating Make-A-Wish as a beneficiary in your retirement plan, life insurance or other account, which is free, easy and quick to do. 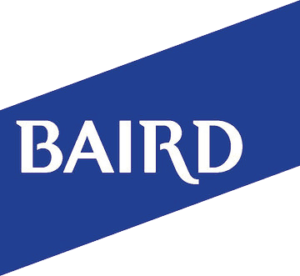 Contact Asa Tate, director of philanthropy and mission advancement at 206.588.8960. Did you know? 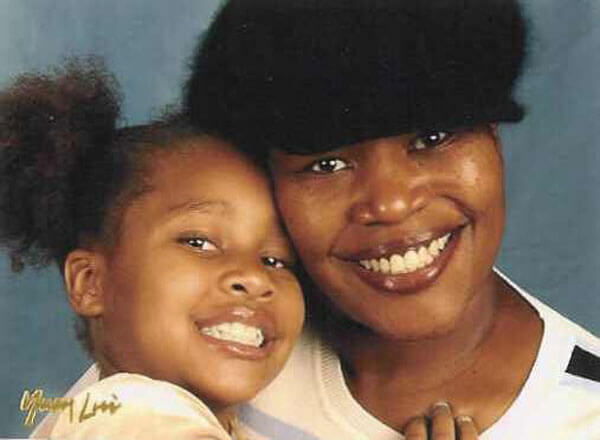 Nearly 80 percent of wishes require airline travel. 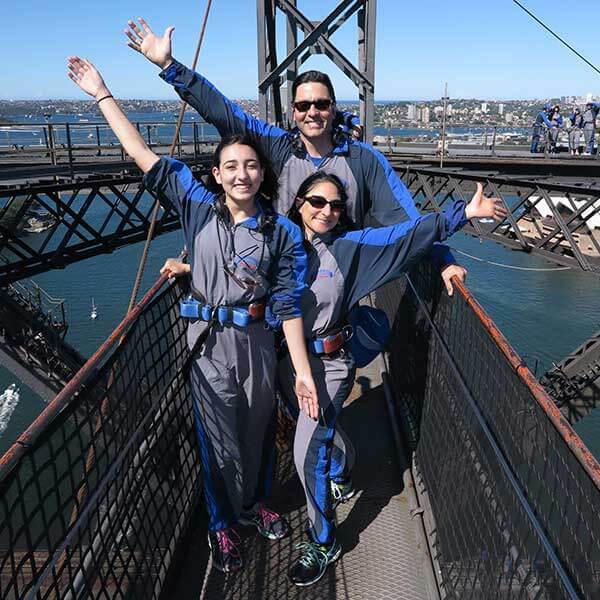 YOUR frequent flier miles can be donated to send local wish children and their families on the trip of a lifetime. Tune in to KOMO 4, KOMO News 1000AM/97.7 FM, Star 101.5 and Talk Radio 570 KVI on August 3, 2017 from 6 a.m. to 7 p.m. and donate your miles during our Wishes in Flight® mileage drive. 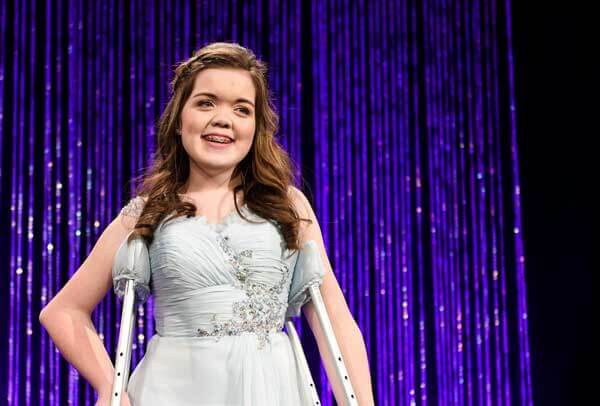 Wish kid Makenna has a rare, life-threatening connective disorder and has endured 15 surgeries in her 14 years. 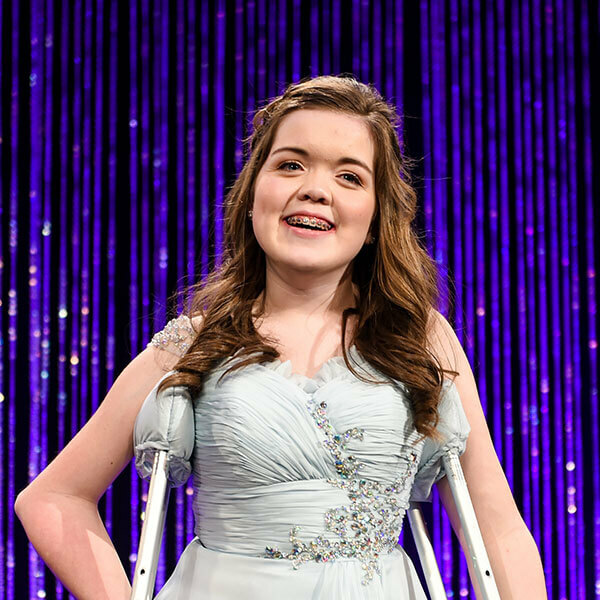 This inspirational teenager took the stage at Wish Night® Gala & Auction: Wishing it Forward with a powerful message. In the past four years, our waiting list has doubled. Right now, more than 500 kids are waiting for a wish. We need you more than ever so we can reach out vision to grant a wish to every eligible child.